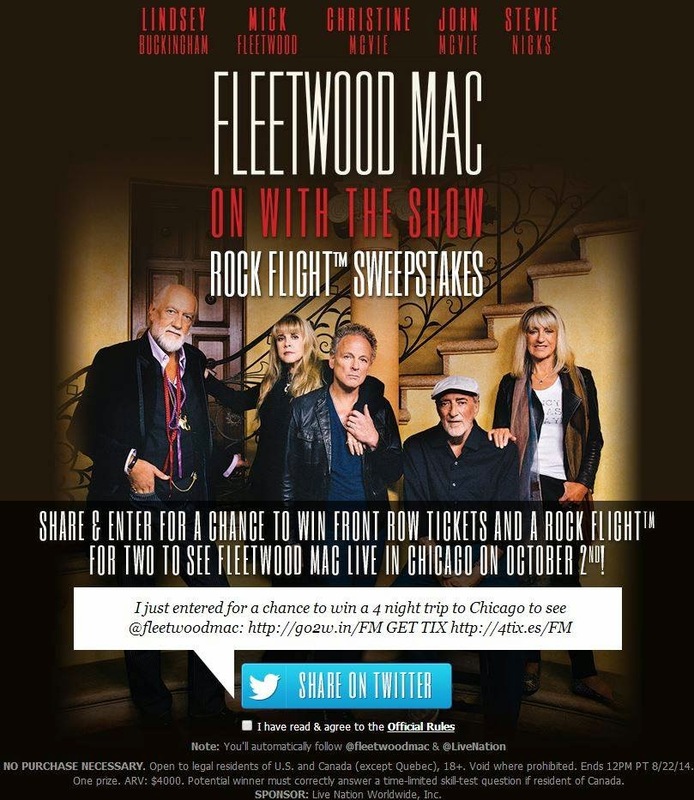 Fleetwood Mac News: You Can Win Your Own Way... to a Fleetwood Mac show! You Can Win Your Own Way... to a Fleetwood Mac show! 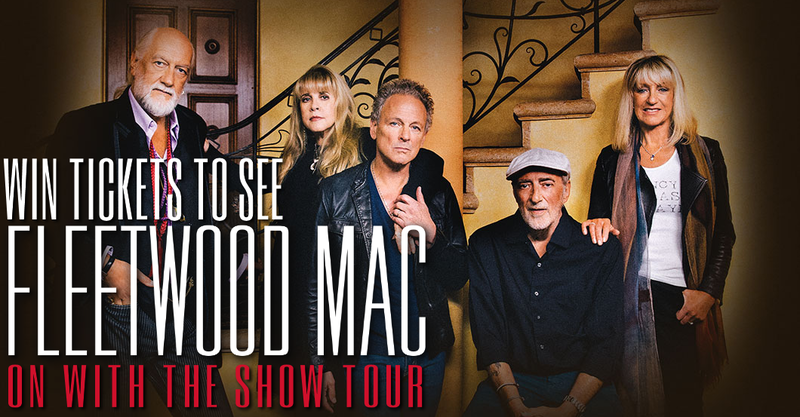 WIN TICKETS TO SEE FLEETWOOD MAC from 94.5 KOOL FM! Enter for a chance to win front row tickets and a Rock Flight for two to see Fleetwood Mac live in Chicago on October 2nd. Open to all legal residents of the U.S. and Canada (except Quebec), 18+. Contest ends August 22, 2014. Contest via Live Nation Worldwide, Inc. Enter HERE - all it takes is an email address and your zip/postal code.